Presented by Sara Mitchell, Psy.D. This presentation explores the impact of attachment, trauma, and parenting on cognitive, linguistic, social, and emotional development in children. It includes a review of developmental milestones, critical developmental periods, and recommended activities for supporting growth. The influence on early trauma on the brain and body is discussed. Family therapy and parenting skills work is emphasized. The information is meant to be a brief overview and is not exhaustive. The target audience is mental health providers (advanced doctoral level psychology trainees, psychologists in practice, master’s level clinicians etc). Participants will be able to list key developmental milestones in healthy children. Participants will be able to describe the role of attachment in development. Participants will be able to explain the impact of trauma on a developing child. Participants will be able to describe ways for working with caregivers to foster a child’s growth and family repair. Participants will be able to list and refer to multiple intervention options for working with families. Sara Mitchell, Psy.D., is a clinical psychologist who works with children and families. She is a Co-developer, trainer, and provider of Early Childhood services with Adult & Child Health (CMHC). Dr. Mitchell worked with Head Start programs to provide and supervise clinical services to children and families. Her experience focuses on early childhood, youth, adolescent, and family work in a variety of settings (community mental health, schools, hospital, residential treatment, department of corrections). Her research focus is on adapting treatment programs to differing developmental levels and to family work. The presentation will be offered in the Gym at Four County Counseling Center, 1015 Michigan Avenue, Logansport, Indiana 46947. 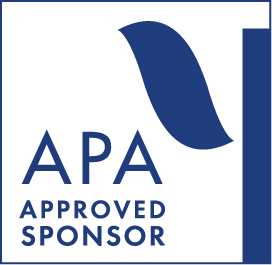 *National Psychology Training Consortium (NPTC) is approved by the American Psychological Association to sponsor continuing education for psychologists. NPTC maintains responsibility for this program and its content.